Body Back Buddy: The Best Massage Stick for Myofascial Release? I love trying all kinds of myofascial release tools and there are so many available on the market that I have yet to run out of new ones to try. In the beginning, I stuck close to the standard types of massage tools such as foam rollers and massage balls, however, last year I made the leap into the world of slightly less conventional tools with one example being back massage sticks. The first one I ever tried was the Thera Cane (which I wrote a review about) but decided I would again venture in and try its biggest competitor, the Body Back Buddy. This review is in many ways a follow up to my post on the Thera Cane so I would advise you to read my Thera Cane review first before reading this post as I intend to do quite a bit of comparison between the Body Back Buddy and the Thera Cane later in the article. What Is The Body Back Buddy? 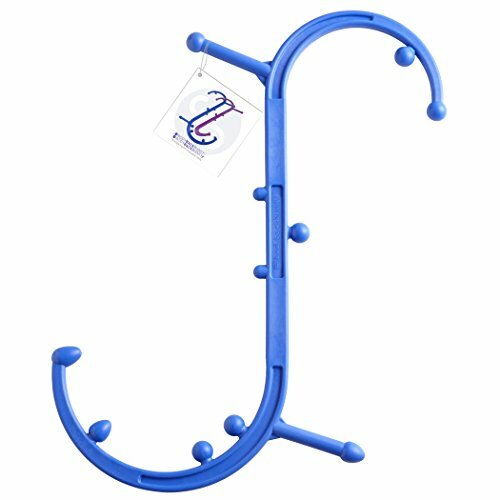 The Body Back Buddy is an S-shaped massage tool that is designed to alleviate pressure points in the muscles with a particular focus on the back. By holding The Body Back Buddy in front of your chest, it is able to reach around to your back and target the hardest to reach trigger points that are normally inaccessible. By using your own force, you can manipulate the 11 knobs on the Body Back Buddy to find the best type of massage that you need. Introduced all the way back in 1995, the Body Back Buddy has been a popular massage tool used by many for myofascial release, releasing trigger points, and deep tissue massage. I’m going to go straight into the review rather than talking about how the tool is supposed to be used and what each knob does. If you are unaware of how the Body Back Buddy is supposed to work, watch the video above to get a general outline. At the present time, the Body Back Buddy retails at £29.99 ($29.99 in the US) which is also the price I also paid to purchase it. When you see a picture of the Body Back Buddy it doesn’t scream at you that this thing is worth that much, after all, it appears as if it’s just a piece of bendy plastic. The good news is that my first opinions were that it is extremely sturdy and the high-density polyethene material feels very dense whilst still being light weight. It also feels strong enough that it would be able to withstand a lot of pressure and force in all areas of the Body Back Buddy. I would be highly surprised if someone managed to break it if they were using it correctly. Which Body Parts Did It Work Best For? The Body Back Buddy is designed for targeting extremely small tender areas that are in hard to reach places and in this case, I found that the Body Back Buddy does work well. The S-shaped design does a good job in being able to reach any area of the back and the Body Back Buddy is easy to manipulate enough in order to dig into and apply pressure to those areas. As well as the 2 hooks with knobs at each end of the curves (knobs 1 and 11), there are also 9 other knobs scattered around the rest of the Body Back Buddy. Knobs 1 & 11 are designed to be used all over the body with a focus on the shoulders and back. Knobs 4 & 6 are supposed to be used on the lower back on the muscles on either side of the spine. Knobs 3, 5 & 7 do not have a particular body part but are general purpose. Out of all the knobs I found knob 11 the best. Rather than being a rounded shape, it is slightly pointy which was perfect for feeling the muscles in the back. I find round knobs tend to be slightly better for massaging rather than releasing trigger points, however, these kind of knobs are still important if you want a slightly less intense release. Knob 1 on the Body Back Buddy has this type of knob. The S curve works will in order to either be used over the shoulder or under the shoulder. Either way, the Body Back Buddy is capable of reaching all areas of the back with no problem. I would say that the two knobs at the end of the hooks are the fundamentals of the Body Back Buddy. Unfortunately, beyond knobs 1 & 11 (back and shoulders) I found there wasn’t much use for all the other knobs. For instance, I’m not really into foot reflexology so knobs 2 & 10 are of little use to me (if I ever do get into it I’ll update this review). In addition, for trigger point release on the foot area, I’d imagine there would be better tools than the Body Back Buddy, such as a Jacknobber tool which you would be able to place on the floor and stand on. I did try knobs 8 and 9 which are designed to massage the back of the neck but I didn’t find them to be of any use. For this area of the neck you can get more specialised myofascial release tools and in my case, I much prefer to get on the floor and use a peanut massage ball instead. The peanut massage ball also provides a much more of a relaxing massage and better release that the Body Back Buddy. The same goes for knobs 4 & 6, which are designed to be used on the muscles on either side of the lower spine. Again, I find a peanut massage ball to be a much better source of relief in this area. Since I found only the knobs at either end of the hooks useful, it’s no surprise that I found the other knobs simply got in the way and spoiled the experience slightly. In particular, when I was holding onto the Body Back Buddy and using it to massage my back I often found that I didn’t want to use the handles but instead had to place my hands on the main part, but the knobs were in the way. In my opinion, there are simply too many unnecessary knobs particularly knobs 8 & 9, which often get in the way if you do not want to use the handles. The remaining knobs are placed on the tip of the handles that you hold onto the Body Back Buddy with. Despite the simplicity of these knobs, they do work well if you want to target fleshy areas such as on the front of the chest such as the pec minor muscles. Final Conclusion: Is The Body Back Buddy Worth It? After using the Body Back Buddy it hasn’t really changed my opinions on back massage sticks overall. 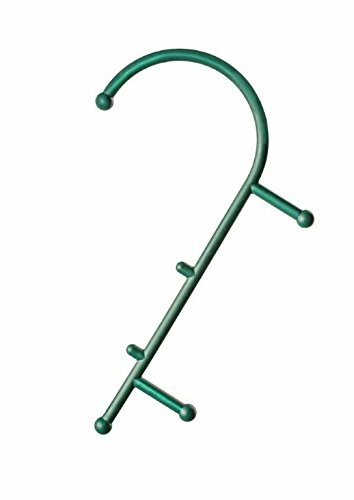 As I wrote in my Thera Cane review, I don’t find massage sticks good for a general level of massage or everyday trigger point relief. What I mean by this is that I much prefer using a foam roller and a variety of massage balls on a daily basis. 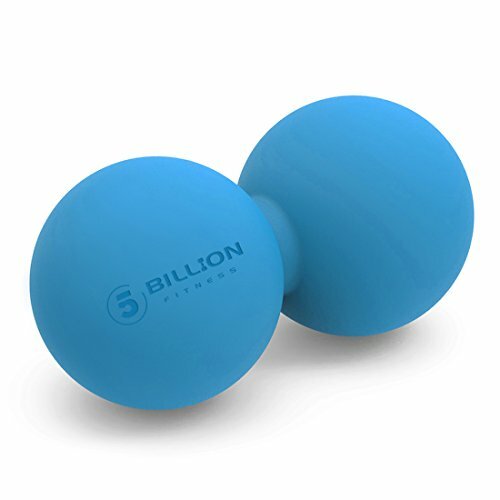 For example, if I were to have a stressful day and needed to massage my upper traps to relax them, I would grab my set of massage balls, place them against the wall and I would massage my traps using this method. I doubt I would grab my Thera Cane or the Body Back Buddy in such an occasion. If you want something that gives a relaxing massage, then you’d be better off with some other myofascial release tool. However, if you want to target tiny tender spots on your back then the Body Back Buddy is a superb tool for that purpose. I realise that not everyone is able to get on the floor to use a massage ball on their back, or are simply too delicate or sensitive to apply their own body weight onto a massage ball. For anyone with these type of issues, the Body Back Buddy is a great option. By using the Body Back Buddy you can apply your own pressure and be as gentle or aggressive as you like whilst remaining in a comfortable seated position. Personally, I don’t use my Thera Cane or the Body Back Buddy every day. Instead, I often find myself grabbing them whenever I find myself watching TV and feel like digging around my back to see if I have any sore spots I need to release. If I do find one, I have confidence that the Body Back Buddy will be able to release it. However, as I mentioned I find little use in any of the other knobs included other than the 2 knobs at the end of the hooks. In some ways, I find all the other knobs rather ineffective. That being said, whether you find the Body Back Buddy to be effective is really a personal experience. Some people may find the other knobs very effective and some may find them of no use, it all depends on how many trigger points you have, or how much tightness you have in your body. I’ve been working on releasing my own trigger points quite extensively, so it could be the case that I have found the other knobs to be of no use because I have already released the areas that the Body Back Buddy is designed to work on. The best thing to do is to try the Body Back Buddy out for yourself. So you’ve decided you still want to buy a massage stick. Which one should you buy? There are many back massage sticks on the market, but the two most popular ones are the Thera Cane and the Body Back Buddy. If you do find others you will notice that they resemble or are slightly modified versions of these two myofascial release tools. It’s best to buy one of these two as the other massage sticks are typically cheap knock-offs which either lack quality or are ineffective. Both the Thera Cane and the Body Back Buddy are proven products. The only question now is which of these two should you buy? The Thera Cane or the Body Back Buddy? Both the Thera Cane and the Body Back Buddy are £29.99 in the UK and $29.99 in the US at the time of writing. There is nothing that separates them according to the price. Both the Thera Cane and the Body Back Buddy are made of quality materials. They are both strong and durable yet light in weight. In addition, I have confidence that neither of them should break if used in the correct manner. I do however think the Thera Cane wins in this area. The Thera Cane has a smoother feel to it and feels better on the hands. It seems to have a slightly better-crafted quality and premium feel to it that the Body Back Buddy. The Thera Cane wins in this area. As I wrote earlier in the Body Back Buddy review there are simply too many knobs that get in the way to getting a comfortable grip when holding the Body Back Buddy (if you do not want to use the handles). The Body Back Buddy does have handles but they are placed in areas which aren’t as comfortable as the Thera Cane. I am being overly fussy in this area for sure. For those who have only ever used the Body Back Buddy, it is unlikely that the idea of it being uncomfortable to hold will have ever crossed their mind. It is only because I have used both the Thera Cane and the Body Back Buddy that it becomes clear that the Thera Cane is much more pleasant to hold and to use. The design of the Thera Cane places emphasis on balancing ergonomics and effectiveness whereas the Body Back Buddy seems to have put more emphasis into versatility. Whilst the Thera Cane was more comfortable to hold and use. I found that the Body Back Buddy is more effective in releasing trigger points in the back than the Thera Cane. I found this was all down to the shape of the knob at the end of the hook. The Thera Cane has one rounded knob, whereas the Body Back Buddy has both a pointed knob and a rounded knob. It was the pointed knob on the Body Back Buddy that was the most effective at releasing the smallest of trigger points as it allows much greater precision than the rounded knob on the Thera Cane. In addition, I have always found the rounded knob on the Thera Cane would slip off the area I was trying to target. This does not happen with the pointed knob on the Body Back Buddy. The rounded type of knob has its benefits for some areas, but the fact that the Body Back Buddy has both makes it much more versatile. The Body Back Buddy also has a rounded knob like the Thera Cane. One other factor that makes the Body Back Buddy more effective is that the hook is much sturdier. The Thera Cane has a slight ‘give’ to the hook so if you place it on a trigger point and apply pressure, there is a very slight bend in the plastic especially when targeting the upper traps. The Body Back Buddy does not have any give which gives greater control and precision. The Thera Cane vs The Body Back Buddy: Who Wins? Whichever of the tools you decide to buy you’ll most likely be happy with. In terms of price and quality, both the Thera Cane and the Body Back Buddy are better than any other sticks you’ll find on the market. They also have different strengths and weaknesses in certain areas. The Thera Cane feels like the more professional tool and the better designed, however, I feel the Body Back Buddy edges it only because I found it more effective as it has the option of both a pointy knob and a rounded one, whereas the Thera Cane only has a round knob. If the Thera Cane has a pointy knob and had a little less give on its hook, I think I would prefer the Thera Cane as it’s nicer to hold in the hands and more comfortable to use. The design of the Body Back Buddy feels like it tried to gain an advantage by placing as many knobs as it can to have a greater number of uses. It would be better if it kept the S-shape, reduced the number of additional knobs and took more care where the handles are placed. To sum up, if you are a trigger point release junkie and have released many of your trigger points already I would go with the Body Back Buddy as you’ll get more precision and apply more pressure to smaller areas. On the other hand, if you are a little more sensitive and don’t need an aggressive relief then the Thera Cane will also do a good job and be more comfortable to use. Whichever camp you are in will ultimately depend whether you should buy the Thera Cane or the Body Back Buddy. But based on my needs, the Body Back Buddy has the slight edge.